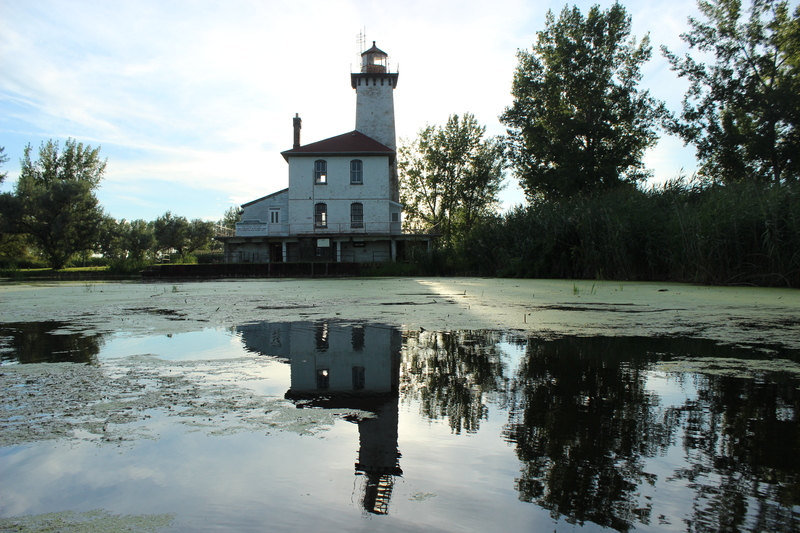 Many of Michigan’s lighthouses are easy to visit, but every now and then a little extra effort is required to reach one of our historical beacons. 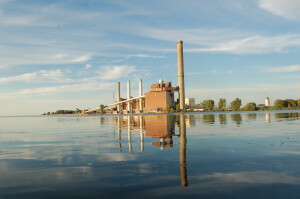 The Saginaw River Range Lighthouse in Bay City is not accessible by land (except on special occasions) as the land surrounding it is owned by Dow Chemical, but it can be seen from the water. We visited this lighthouse on our August 2016 vacation, taking kayaks from a nearby public boat launch and reaching the lighthouse in less than a half hour. 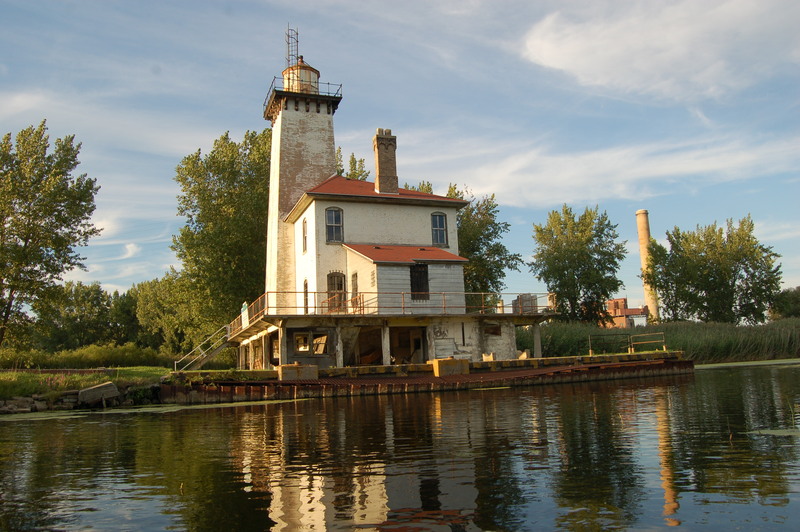 While the Saginaw River Rear Range Lighthouse is in pretty rough shape, restoration efforts are ongoing through the Saginaw River Marine Historical Society. The Saginaw River Range Lighthouse was built in 1876 and was used in conjunction with a front range light that used to stand directly on the Saginaw River. This was one of the earliest uses of range lights in the country and both lights helped guide ships upriver for many years. 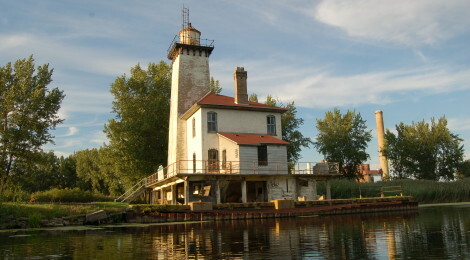 The rear range lighthouse was home to the Coast Guard for roughly 40 years (the CG is now located across the river in Essexville). 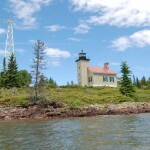 The tower is 59 feet tall and once housed a fourth order Fresnel Lens. The lighthouse, like many others in Michigan, was constructed of Cream City brick. 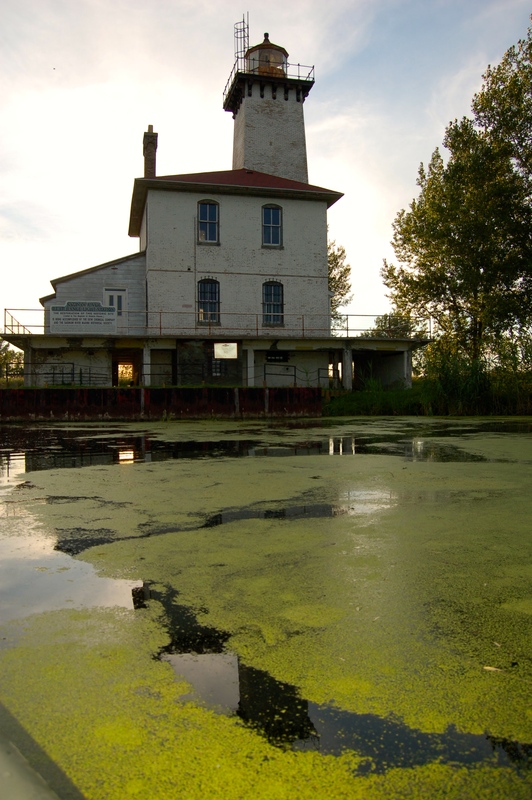 It is painted white with black trim. 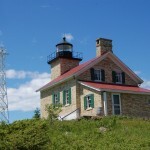 You can check out more in-depth history of this lighthouse at lighthousefriends.com or terrypepper.com. 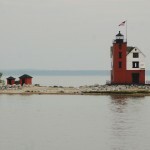 Mlive.com also ran a story about the tours of the lighthouse that were offered during the 2013 Bay City Tall Ships Festival. 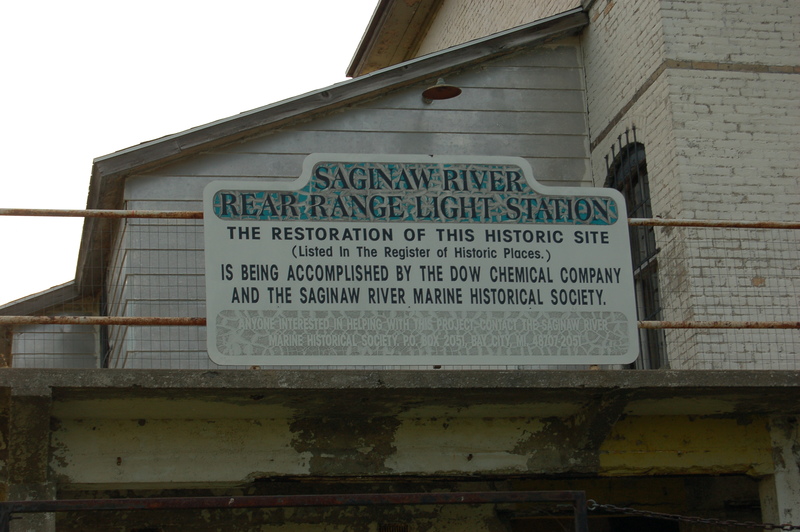 The Saginaw River Marine Historical Society also maintains a Facebook page with updates on restoration, volunteer opportunities, meeting times, and historical information. 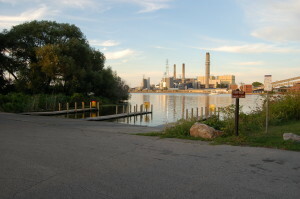 We launched our kayaks from the DNR Saginaw River Mouth boat launch at the end of Shady Shore Rd. 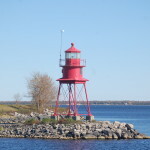 It took us 10-15 minutes of paddling upriver to reach the channel that leads to the lighthouse and another 5-10 minutes to get through the swampier waters of that channel. 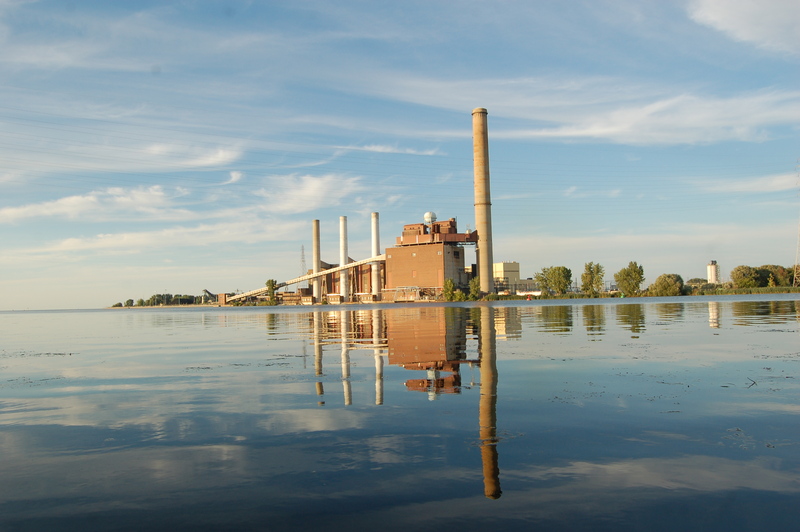 The river was incredibly calm and flat, and our 8 p.m. launch time gave us the perfect lighting for some amazing reflection shots of the lighthouse as well as the factory across the river. 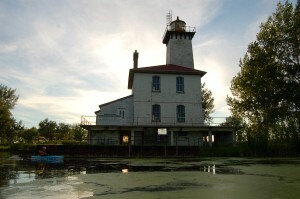 This was an awesome addition to our lighthouse trip and one we recommend to any lighthouse enthusiasts with a kayak or small boat.